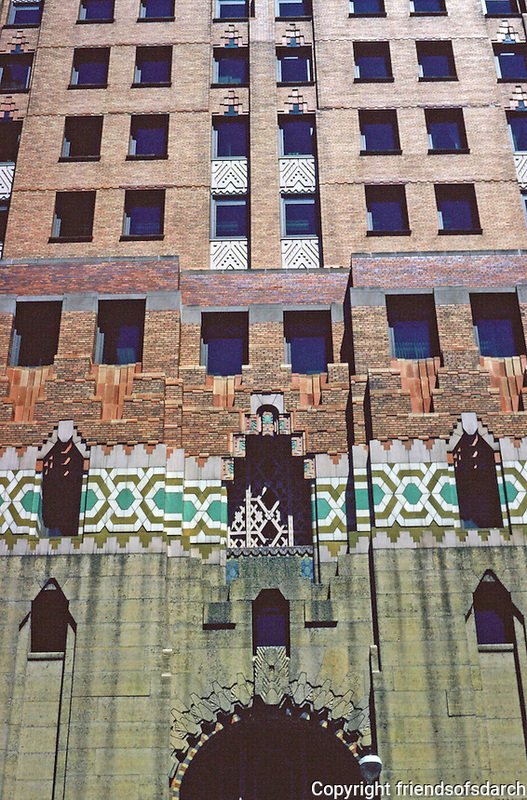 Detroit: Guarian Building--Facade above entrance. Ascending, granite, glazed tile from Pewabic Pottery Co. of Detroit & polychrome brick veneer. Photo '97.